Sheâs got the fate of a kingdom in her handsâor rather, in her shoes. 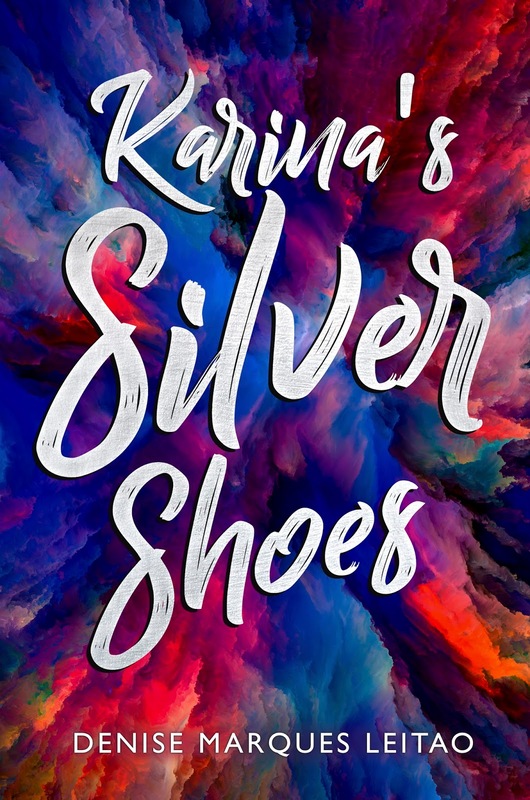 14-year old Karina is not sure what she wants, but she knows what sheâs found: fascinating silver shoes. Fascinating, dangerous, and potentially evil. On the upside, they do bring cool visitors. When two princesses ask her to go to Whyland, a kingdom in a parallel dimension, to destroy the shoes, of course Karina accepts. Who would refuse a free trip to an alternate world? Advised by a wise master, threatened by a beautiful stepmother, Karina goes on a journey with a princess to defeat a powerful witch. But Whyland is nothing like she expected. Karina finds herself stuck in a kingdom she doesnât understand, with no clue on who to trust. Before saving anyone, sheâd better save herselfâif she figures out how. From Brazilian / Canadian writer Denise Marques Leitao comes a teen parody of fantasy and fairy-tale tropes with many female characters, friendships between girls and women, and some subtle romance. If you like to read about strong girls and women, youâve found your book. Slowly, the sense of reality came back to Karina. Sparkly dust. Yeah, that was from blinking or whatever. Grant a wish. Was Karina still at the age of believing in fairy tales? She was a normal, logical person. Most fairy tales she knew were from a time when she had no word on the kind of entertainment assigned to her. How could she have fallen for such crap? Thankfully she didnât sell the shoes for an empty promise. Wait. Did the woman have the nerve to steal the shoes right under her nose? Karina hurried to the closet and picked up her purse. The shoes were still there. What had this visit been all about then? Maybe Karina was just tired and seeing things, but what troubled her most was not having visions but believing what they said. Instead of watching a movie, she put on her pajamas, turned off all the lights and lay on her bed. If she was going to believe in fairy tales, sheâd better sleep before nine. At this point, Karina had the notion that she was awake and the voices were really in her bedroom. Her eyes were still closed in the hopes the voices would fade away on their own, but instead, they only got clearer and more real, to a point she could no longer hold her curiosity and had to look. She opened her eyes just enough to see without being noticed. A strange, orange glow illuminated the room. Two teenage girls were there, reminding her of the woman she had previously seen, especially the older one, but dressed in very simple green and orange dresses. The oldest girl passed her hands over Karinaâs study lamp, which seemed to have been broken. Denise Marques Leitao was born and raised in Brazil. 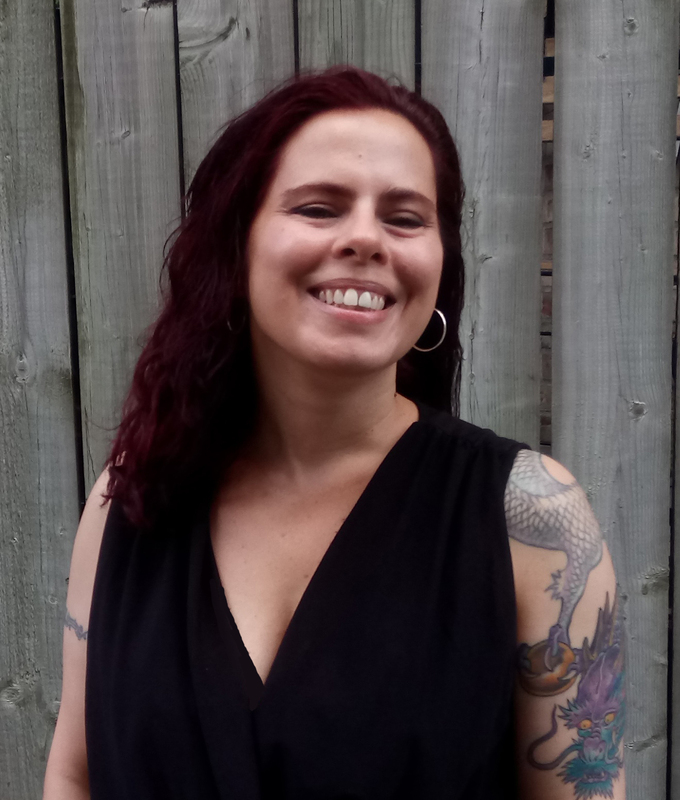 When sheâs not creating worlds and characters, sheâs discussing the meaning of the Universe with her son, writing unintellectual poetry, podcasting about popular culture, or teaching. She lives in Montreal, Canada, and has a Master's in English Literature.